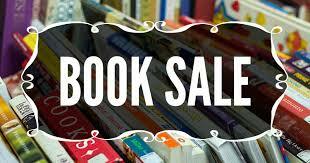 Join us for our first of many First Fridays Pre-Loved Book Sales! You can find us in the lobby of Artspace at 100 Arthur Street. We will be slinging books from 5:00pm-10:00pm. We have a wide selection of books across many genres, so you’ll be sure to find something that will pique your interest! There will be an option to pay by interac/credit as well. Be sure to bring a reusable bag to tuck your treasures in, as we won’t have any available.